If a picture is worth a thousand words then imagine how much you can say with a video! Whether you need an online explainer video, an interactive training video or a bandwidth-friendly HTML5 animation to add to your eLearning curriculum, we can write, storyboard, film and edit your video, making your job that little bit easier. Explain your idea in a matter of seconds with a high-quality whiteboard animation from 4pt. Do you want to use video but can’t due to bandwidth restrictions? 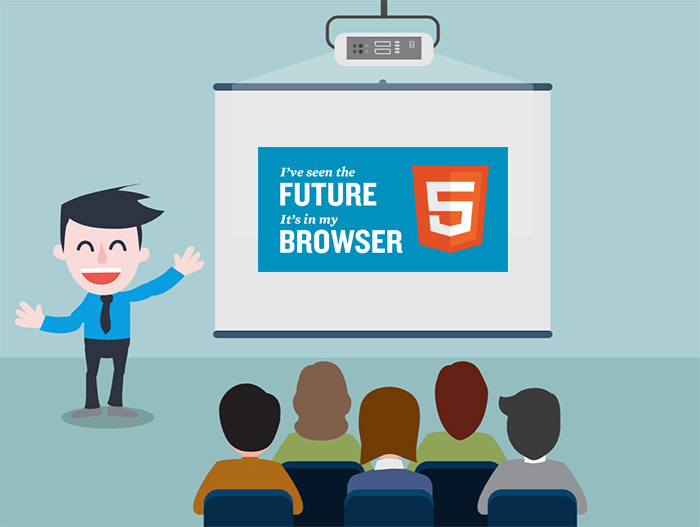 HTML5 animation could be for you. That’s a whopping 11MB bandwidth saving per video! Put in to an eLearning context, a course containing three short animations viewed by 100 learners would save 3.3GB bandwidth using HTML5 animation instead of video. Worth considering if you want to minimise mobile data costs. Another benefit of HTML5 animation is that it scales to any size without suffering a loss in quality!